AN interesting aspect of Kumba Iron Ore’s full-year results presentation last month was its so-called ‘step-out plan’ – a strategy in which it would consider re-investment in its asset base by converting long-held resources to reserves (quite normal); merger and acquisition in iron ore (interesting, but not totally unheard of); and possible investment in other commodities (completely unheard of for Kumba). During the heyday of the iron ore price, when it was around $185/t, Kumba toyed with the notion of investing in iron ore projects in West Africa, but it has never before expressed a view on asset diversification. Asked by Miningmx to clarify whether that had cropped up in strategy, Themba Mkhwanazi, Kumba’s CEO, said it had been one of the suggestions, but that it was by no-means imminent. 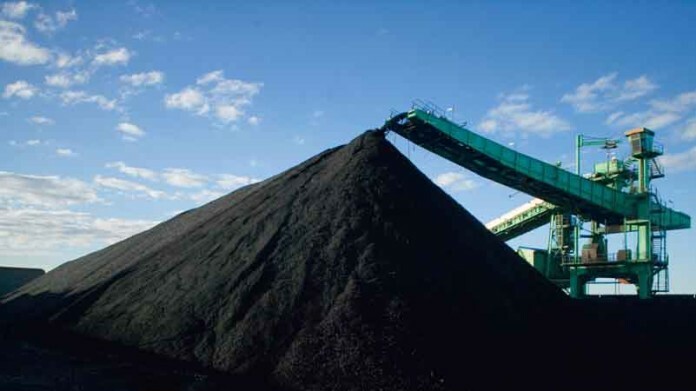 The focus now seems to be on extending Sishen iron ore mine’s life as well as improving the company’s marketing, especially its ability to eke out better margins by tailoring the quality of its product to buyers. What’s intriguing about even mentioning this idea, is why Kumba would attempt to replicate the investment proposition already offered by its parent company, Anglo American? Asked for comment on this, Mkhwanazi batted away the suggestion. It was too early to discuss such things. “They were probably speaking out of term,” was the view of one prominent analyst who asked not to be quoted. “You’ll probably find when Anglo reports its figures that this notion might be dismissed. It is ultimately Anglo American that decides such things not the listed subsidiary sitting in Johannesburg,” he said. As it turns out, Anglo American CEO, Mark Cutifani, is supportive of the Kumba ‘step-out’. “Speaking as a major shareholder in Kumba, we see the company as a premium iron ore vehicle, but there are some logical opportunities that makes sense for it in the longer term,” he said in an interview. “We would entertain them as a shareholder. Our point of view would be to be supportive,” he said. Anglo American has a 69.71% stake in Kumba. Maybe Kumba should buy Anglo American’s SA assets, and recreate an “SA-champion”. Not necessarily great for Kumba’s shareholders though.